Traditional bracing with solid mahogany back and sides give the BR-140 a pure vintage sound. 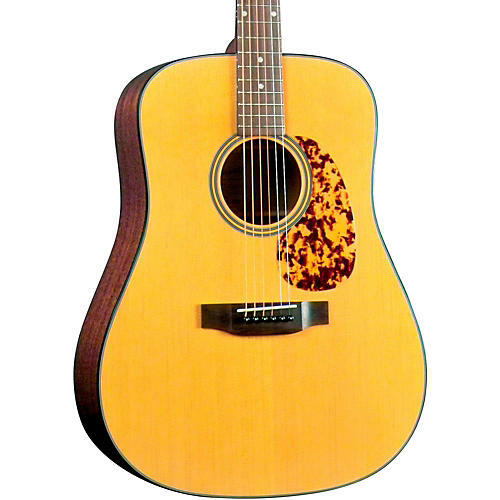 This understated yet, elegant guitar has a sound and vibe that's perfect for any style of acoustic music. At a price that's hard to beat, it has fine black and white top purfling with original abalone and pearl inlay work on the headstock that are touches of fine art. Other features include all solid Honduran mahogany back and sides and solid Sitka spruce top.